A calendar is required to calculate escalations or evaluations based on business hours. Define a “standard” calendar which is valid throughout the system. 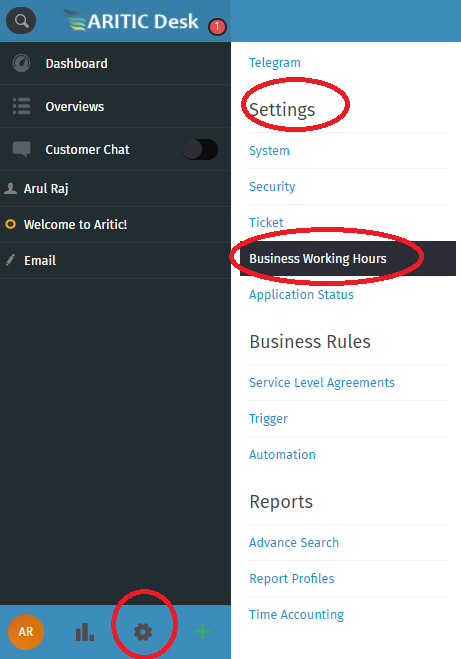 Only in the specified business hours, escalation notifications are sent to agents. 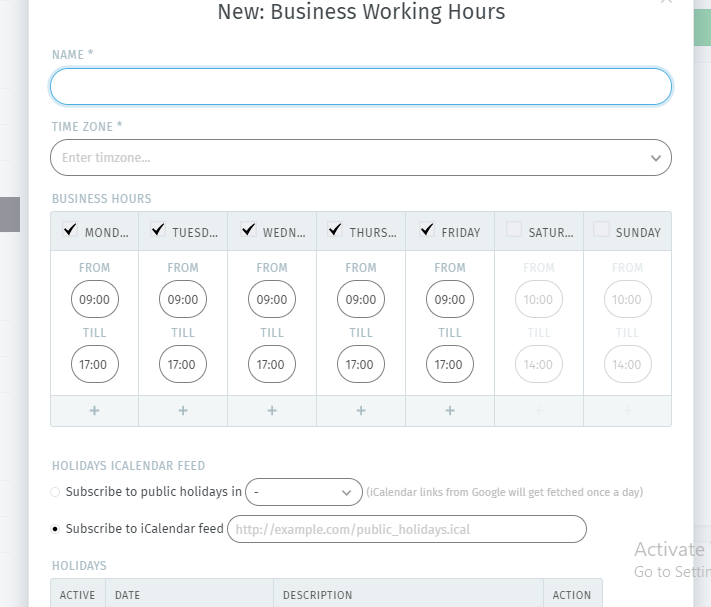 If you have customers for which you have to meet different business times, you can create several calendars. The customer tickets are allocated via the SLAs. In the new modal window, you have to enter/choose the fields accordingly.